This Math resource page is intended to assist State Operated Programs’ teachers and education staff find quality resources and lesson ideas on the web. The following links and documents have been provided to meet the needs of the specific population and classroom environments found within Virginia’s State Operated Programs’ education centers. 1. https://www.khanacademy.org/ – Tutorial videos and practice problems on all math levels. 2. https://www.kutasoftware.com/ – Provides course-based software. Some free worksheets are available, but for a nominal fee, unlimited worksheets can be created for parameters you choose. 3. http://www.ixl.com/ – Adaptive online math practice problems with solutions and explanations. Great for quick ability assessment and differentiation. Students licenses needed for extensive use. 4. http://www.homeschoolmath.net/ – Customizable worksheets for free online. Great for remediation up to Algebra I. 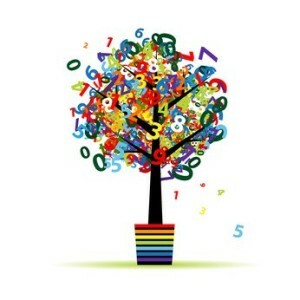 5. http://www.mathalicious.com/ – Complete real-life lesson plans to address many levels and strands. 6. http://www.yaymath.org/ – Using humor and inspiration, Yay Math encourages students to get over their fears and embrace the fun in math. Videos, worksheets and introductory quizzes go step by step through math concepts (Algebra 1 – Statistics). 7. http://www.math-aids.com/ – Free, semi-customizatable math worksheets for grade K-12. 8. http://worksheets.theteacherscorner.net/make-your-own/math-worksheets/ – From basic math to number sense, to algebra, The Teacher’s Corner offers a variety of math worksheets to choose from. 9. https://www.sophia.org/ – Free tutorials and quizzes to help students learn concepts, refresh math knowledge, and practice skills. Sophia.org also has tools and resources for teachers, including tutorials, course materials, videos, and analytics software to assist in the classroom. 10. http://education.jlab.org/solquiz/ – Jefferson Lab offers SOL practice questions and math games for almost every level (Math 2 – Geometry). 11. http://mathforum.org/ – One stop shop for resources, research, and lesson plans. 12. www.flippedmath.com – “Flipped” lessons with videos, practice, and other supports. 13. www.ck12.org – Videos, worksheets, and tutorials. 1. http://www.mathhelp.com/ – Provides individualized instruction and assistance to math students for fifth grade through Algebra 2. Math help includes applications for multiple test prep options for everything from GED, ACT, PRAXIS, GRE, SAT, etc. 2. Constructions Lite (https://play.google.com/store/apps/details?id=de.hms.xconstruction) – This application has tutorials for each geometric construction and allow students to practice with geometry in a real-world scenario.